Cheerful chatter at The Bookshop Lee on the Solent. For authors and readers alike this is, or should be, a very special day of the year. Sponsored by UNESCO to support reading, writing and copyright many bookshops hold special events. I was privileged to be invited to take part in an evening event at the excellent independent bookshop at Lee on the Solent, where, along with nine other authors we chatted with the invited enthusiastic readers who gathered there. Rick Barter who owns and runs this highly successful bookshop has again demonstrated his skills and dedication to books and the reading public. As an author I thoroughly enjoyed this event where I met both readers of my own work and chatted to potential new readers about what I write and how the Ian Vaughan thriller series has developed. It was also the first public event where I could flag up the news of the third book in the series, which went to the publishers earlier in the week. If all goes well ‘Shadows in Sunshine’ will be out in the shops by Christmas. One other aspect of the evening that I thought to be very positive was to have two publishers included in the guest list, for those wishing to discuss their own work. Jenny Knowles of Little Knoll Press was there busily talking to would be writers and I also saw Amanda Field of Chaplin Books there. To those who have not attended World Book Day events in the past put a note in your diaries against 23rd April 2015, when I am sure that a bookshop near you will be putting on something special to celebrate the day. I know Rick Barter will at The Bookshop at Lee on the Solent, and hopefully I will be invited back. 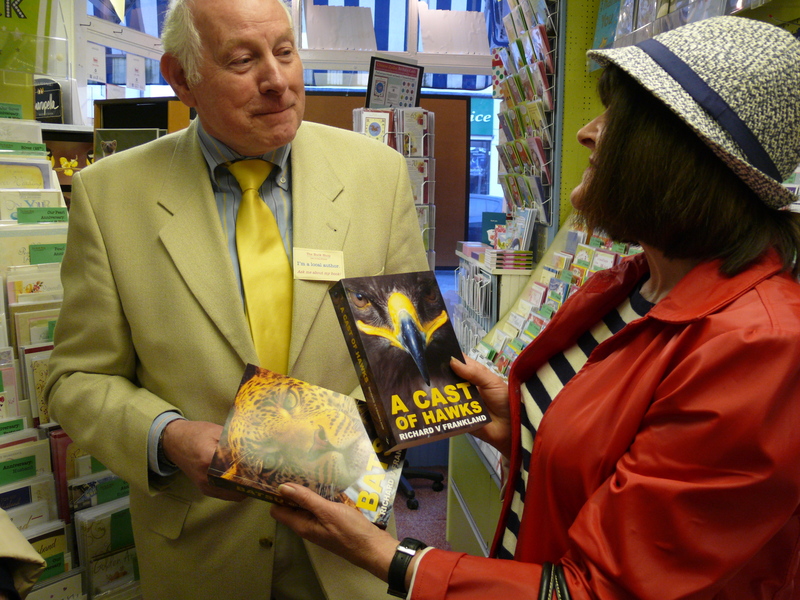 This entry was posted in Uncategorized, Writing Thrillers and tagged Author talk events, Meeting readers, World Book Day on April 29, 2014 by Richard V Frankland.